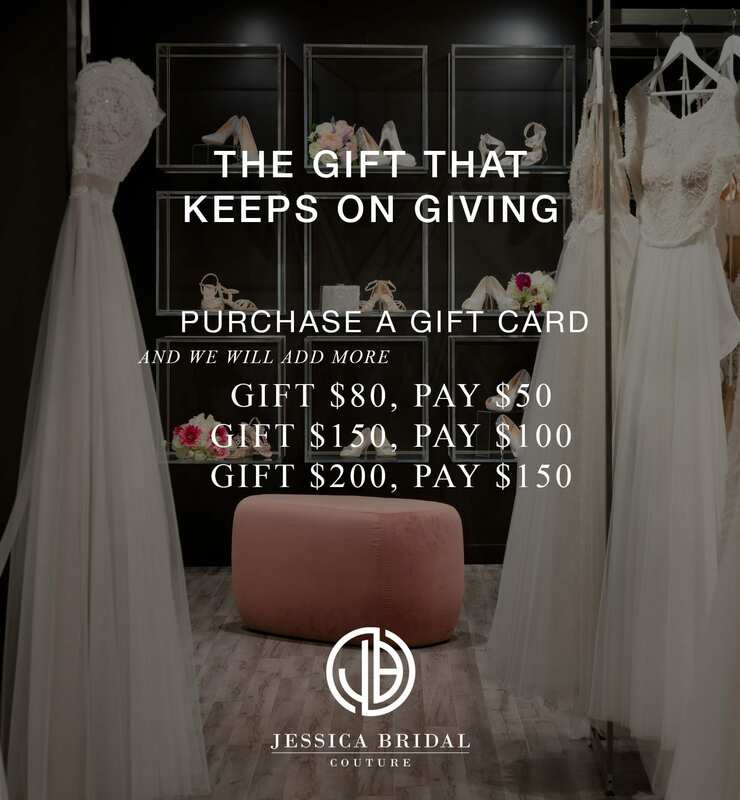 For a limited time, Jessica Bridal will be offering the purchase of gift cards and we will add more! You cannot purchase a gift voucher on our web store using another gift voucher for payment. No change will be given. Vouchers can be redeemed in full or for part of a payment. When redeeming a gift voucher online, only one gift voucher is valid per transaction. If the amount of your gift voucher does NOT cover your total order amount, you will need to pay the remainder of the purchase with a valid credit card. 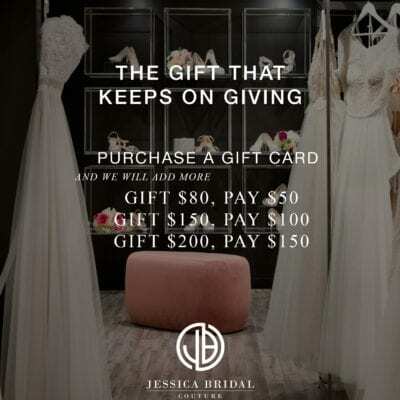 Gift vouchers are non-transferable, non-refundable, cannot be redeemed for cash (except where required by state law) and cannot be credited to an account. In the event that gift voucher value information is unable to be retrieved online, we reserve the right to decline a gift voucher online transaction until the correct gift voucher value can be verified. To use multiple gift voucher, please contact us. 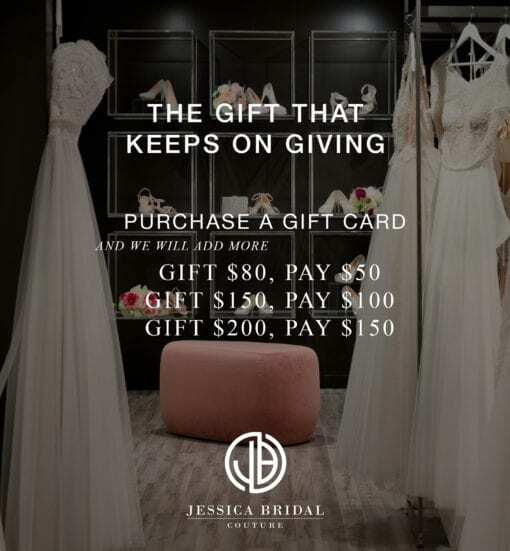 Jessica Bridal cannot replace, redeem or refund lost, stolen or damaged gift vouchers.